The Spark Award is an annual award that recognizes excellence in a children’s book published through a non-traditional publishing route. 2018 winners: Losing Normal by Francis Moss and Pretty by Dani Coplen, illustrated by Natalia de Frutos. 2018 honor winners: Posthumous by Paul Aertker and Little Moss, Big Tree by M. Yap-Stewart, illustrated by Mariya Prytula. Congratulations! Deadline: SPARK 2019 OPENS NOVEMBER 15, 2019. DEADLINE IS DECEMBER 19, 2019. You may only submit one title each award period. Award: The winner and honor recipients (if applicable) will receive: a Spark seal to display on their book; commemorative plaque; the opportunity to have their book featured and autographed at an SCBWI conference of their choosing during the year the award is won, featured in the SCBWI online bookstore and publicized through SCBWI social networking sites. The winners will also get the opportunity to attend any conference of their choice tuition free (other than for extras such as critiques and intensives). 1. You must be a current SCBWI member with membership current through April of the following year to apply. If you are a member now but your membership is scheduled to expire before that time, you will need to renew your membership in order to be eligible for the award. 2. Both the author and illustrator (if the illustrator’s name appears on the book) must be members to apply. 3. You must have published a book intended for the children’s or YA market in one of the following categories: Board Book, Picture Book, Chapter Book, Middle Grade, Graphic Novel or Young Adult. 4. The book may be fiction or nonfiction. 5. The book should have been self-published either through an established self-publishing enterprise or individually self-published. The book cannot have been previously published in any print or digital form prior to the self-published form. 6. SCBWI reserves the right to disqualify books published by enterprises that we believe, in our discretion, operate in a predatory or unbusiness-like manner. 7. The entry must be submitted in traditionally bound form, contain an ISBN number, and Copyright date of the current year. 8. All applicants must include a cover letter with your name, the name of your book, the genre of your book, the publishing method for your book (including the name of any editor/copyeditor/designer who was retained in the creation of the book), your book’s ISBN and a synopsis of your book. 9. Applicants must submit one copy of a printed and bound copy of the book and a cover letter to SCBWI via a traceable mailing method (i.e. FedEx, UPS, US or International Mail with tracking number). Please do not double package your book. Please note that books submitted will not be returned. Books for older readers: This includes: middle grade and young adult fiction and nonfiction. Illustrated Books: This includes: board books, picture books, readers, chapter books and novelty books. There will be two rounds of judging. The first round will be judged by an SCBWI panel; the second round will be judged by a panel selected from industry editors, agents, authors, illustrators and/or booksellers. 11. Books entered in the Spark Award are not eligible for The Golden Kite Award or Sid Fleischman Award. Self-published authors may only enter their books in one of these awards. 12. Judging will be based on a number of criteria, including but not limited to: quality of writing and concept, quality of illustrations (if applicable), professional presentation, editing and design, appropriateness of content for the targeted age group of the book. 13. Books are evaluated by a panel of English-speaking judges. All books entered must be written in English or be submitted with an English translation. 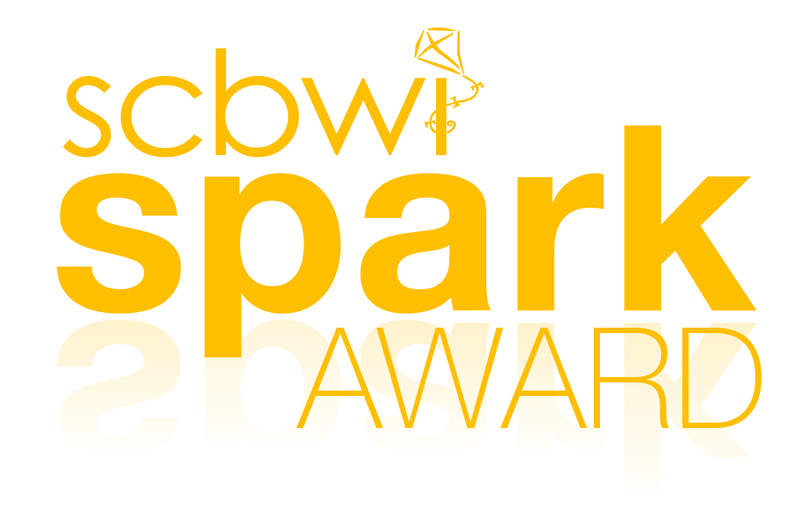 SCBWI reserves the right not to award a SPARK AWARD in any given year.